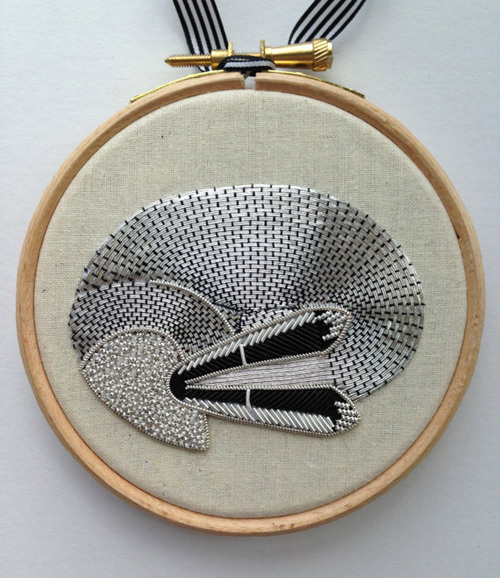 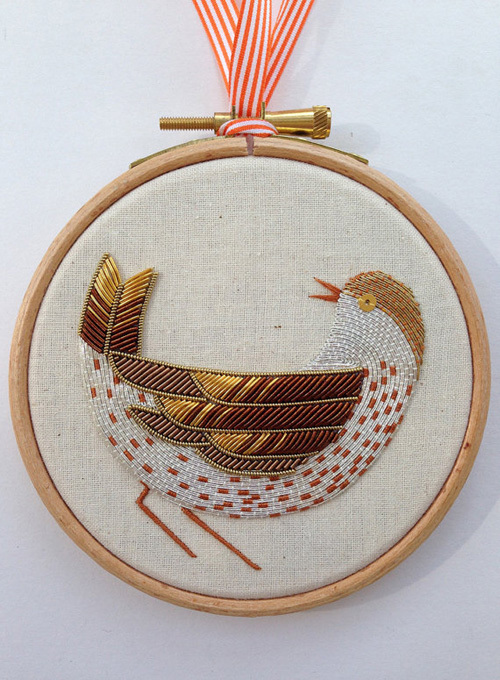 Becky Hogg is a UK based embroiderer who trained in Multi Media Textiles at Loughborough Art college. 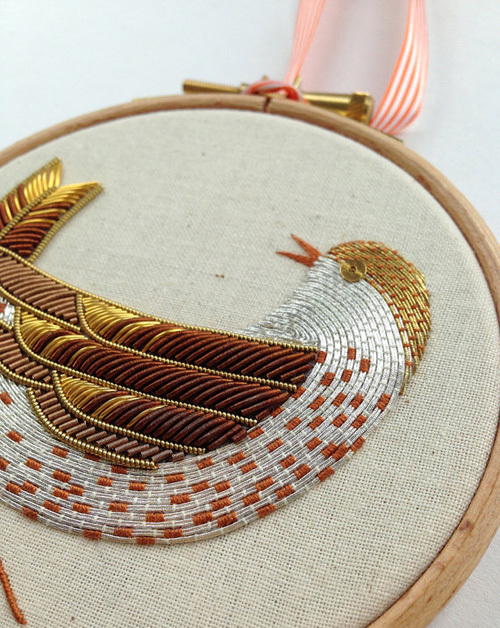 Later she specialized in hand embroidery at the Royal School of Needlework, where she also worked for 9 years in the studio on many projects until 2008. 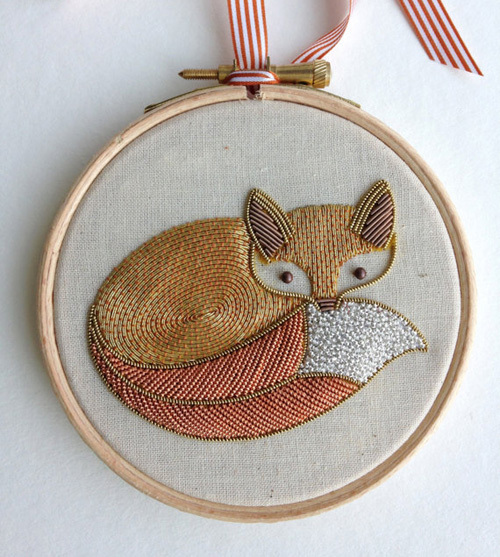 Some of the projects she has done include The Duchess of Cambridge's wedding dress, bespoke pillows for wallpaper designers Beyond the Moon, limited edition jumpers for design duo Crispin Finn and embroidery projects for an Encyclopedia. 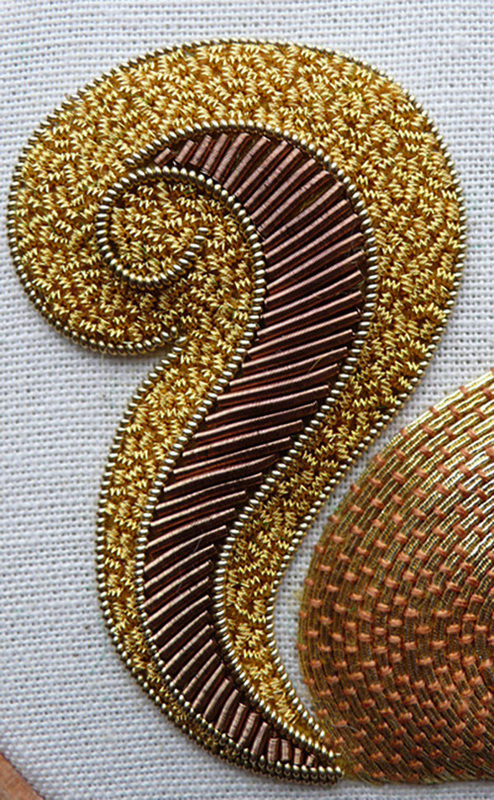 Her work has been published in 'Easy living', 'Brides', and 'Sew' magazines. 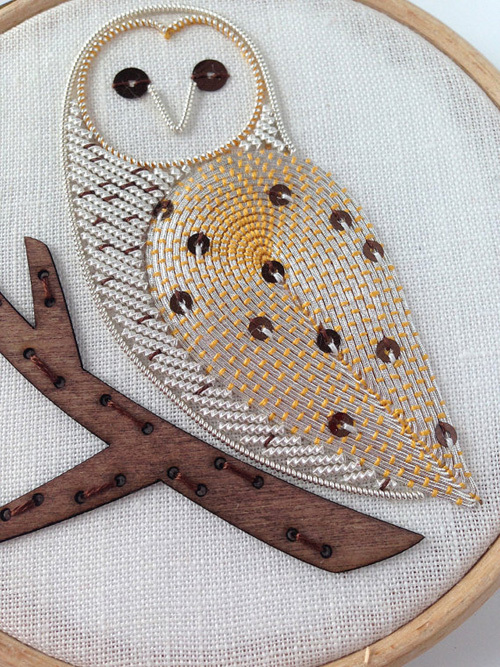 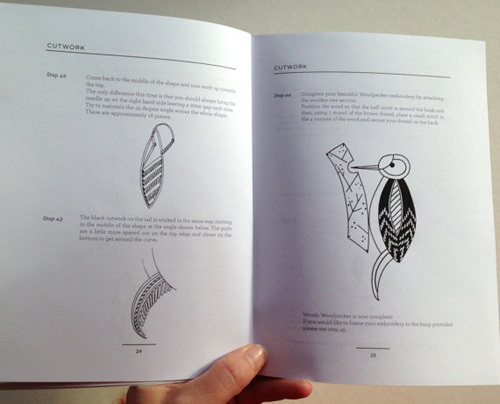 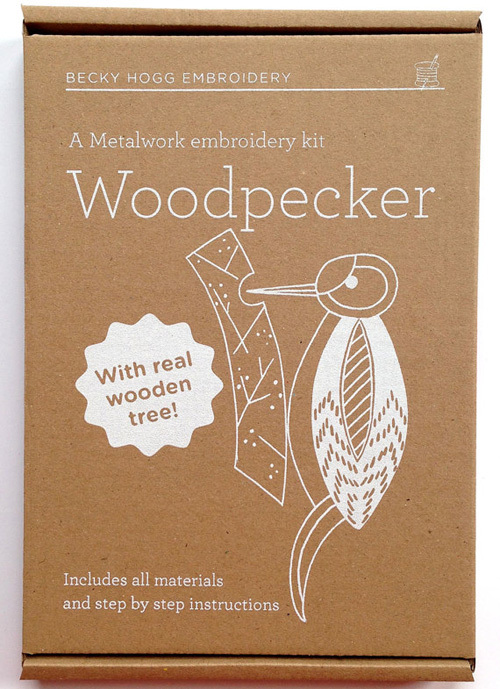 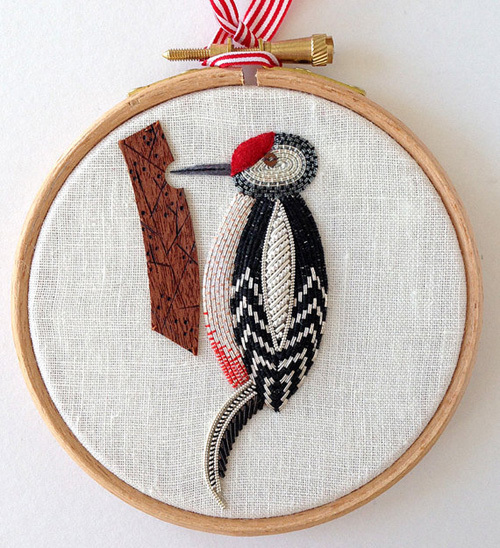 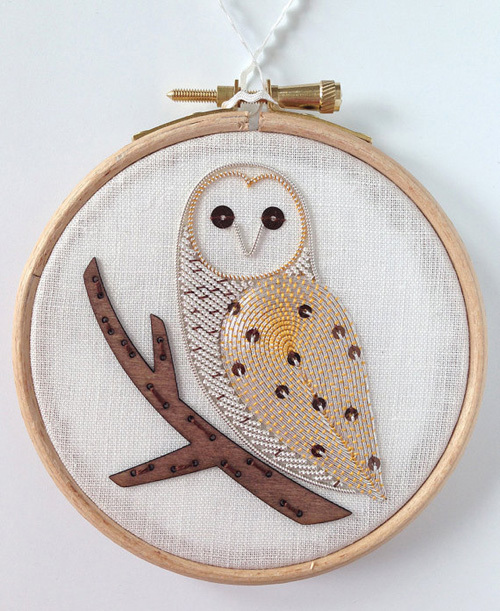 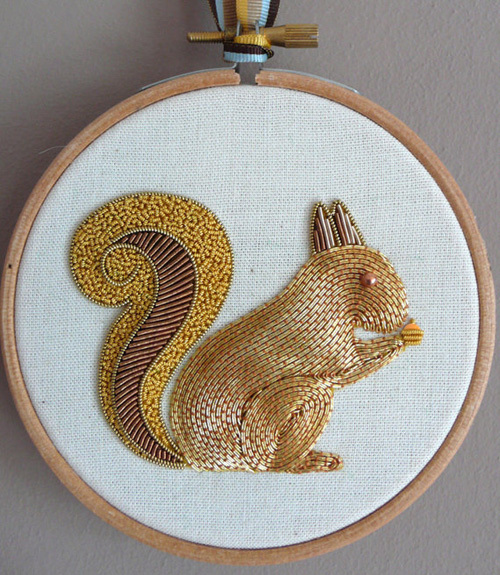 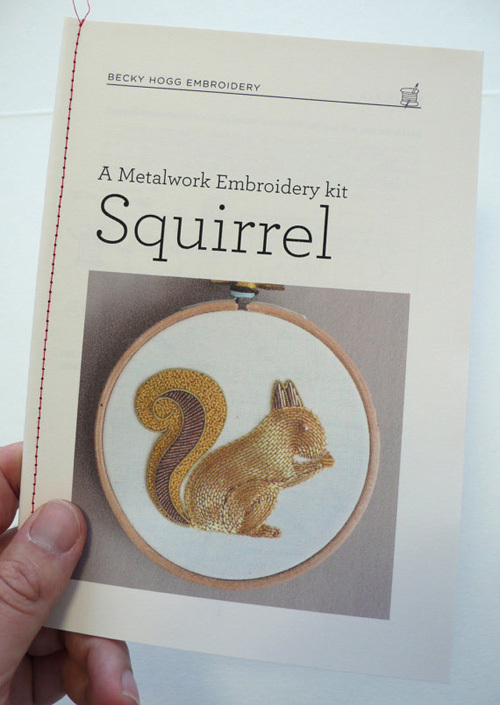 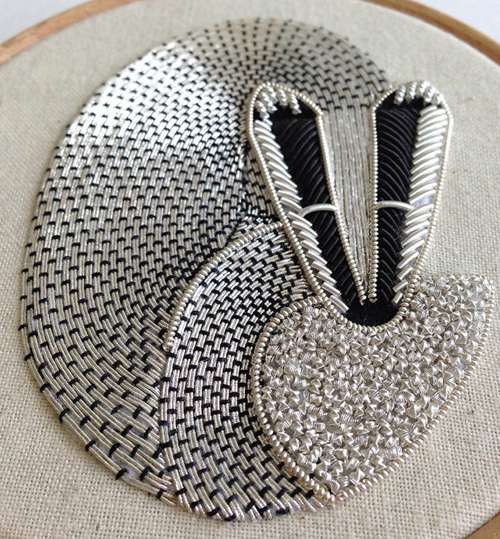 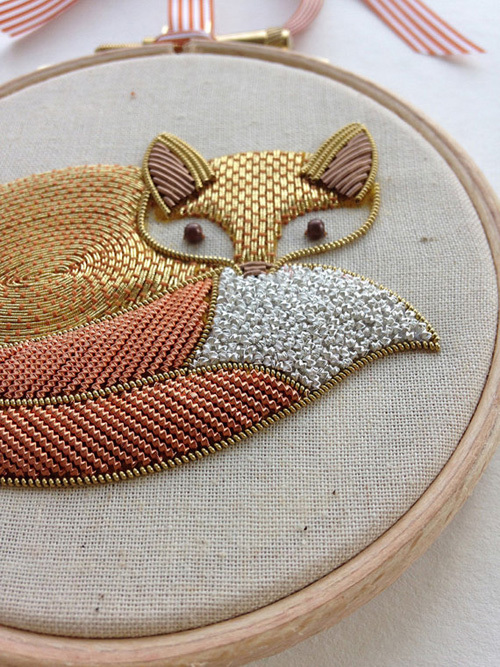 Her latest metalwork embroidery kits are available in her online store in owl, woodpecker, squirrel, fox and badger designs at $46.51 a kit.